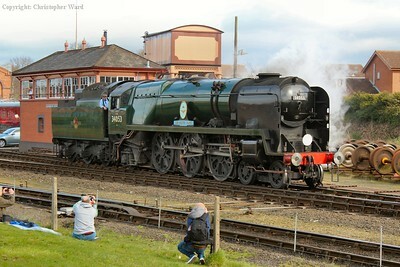 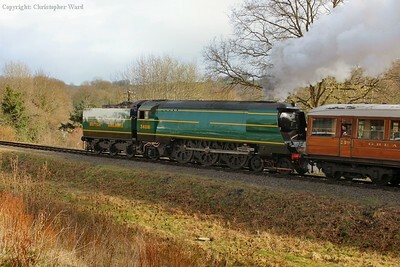 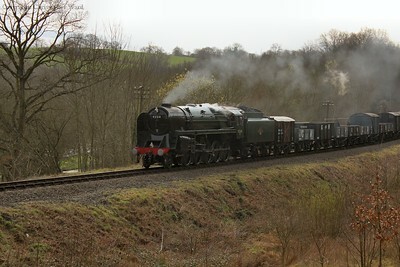 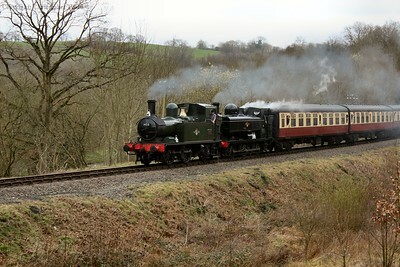 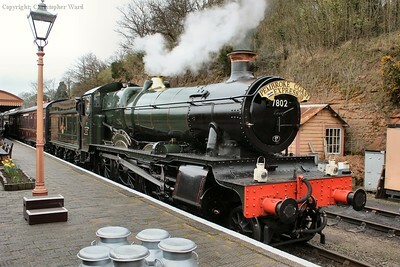 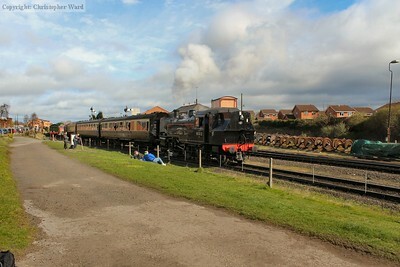 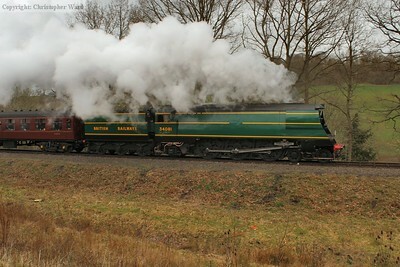 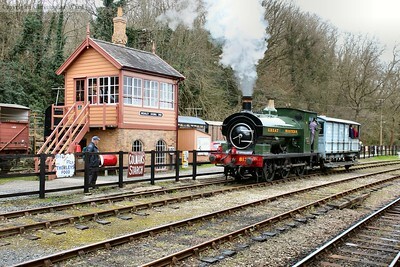 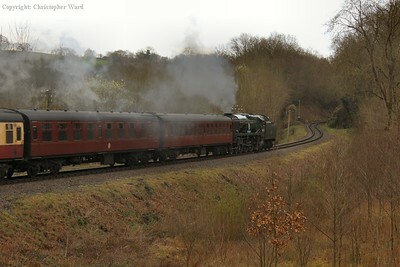 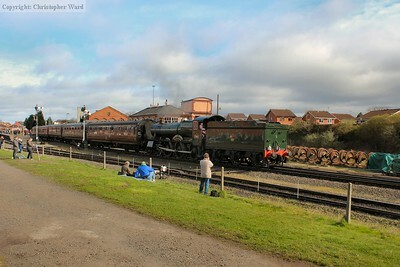 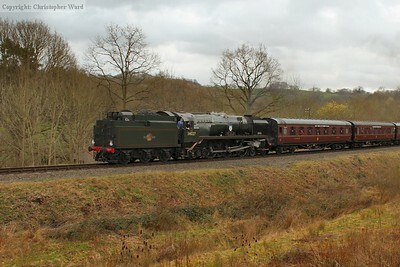 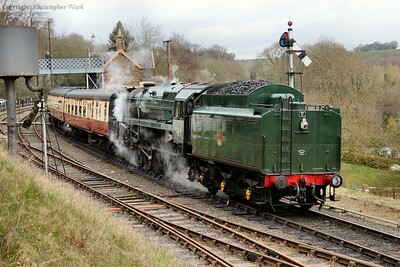 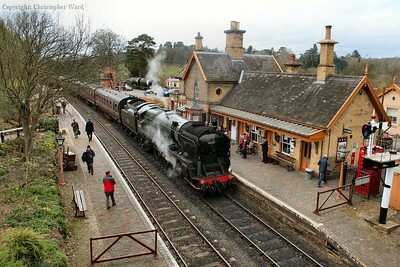 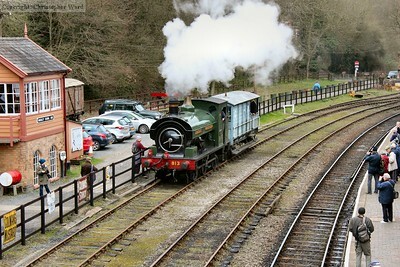 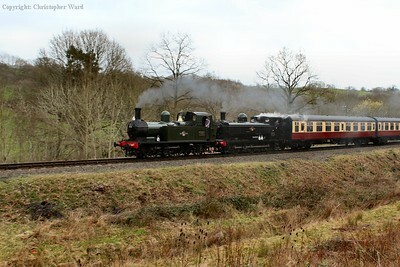 The Spring Steam Gala marked the start of the season for the Severn Valley Railway. 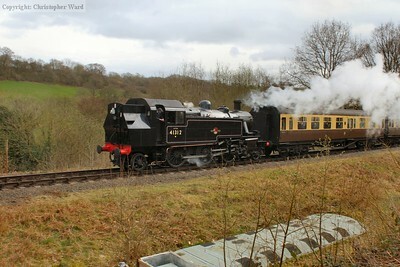 Newly restored members of the home fleet 7714 and 813 were joined by other representatives of the home fleet and three visiting locomotives. 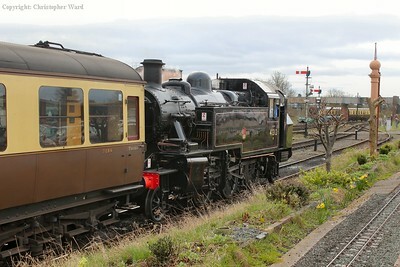 These were; 92214 from the Great Central Railway, Ivatt tank 41312 from the Mid Hants and 34081 92 Squadron from the Nene Valley, itself only recently returned to traffic after nearly a decade out of action. 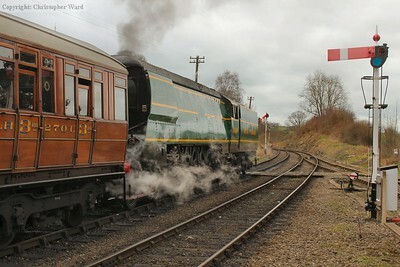 The 9F in her lined green livery...not sure a gunpowder van really ought to be the first vehicle? 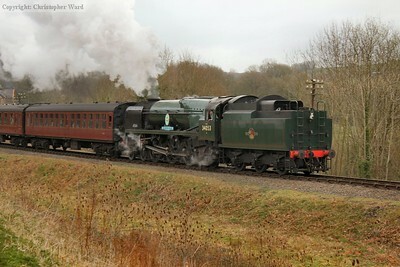 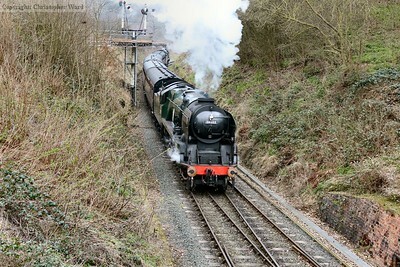 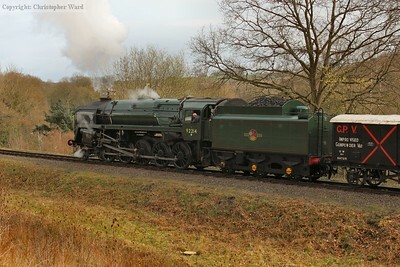 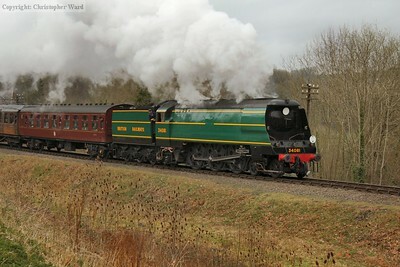 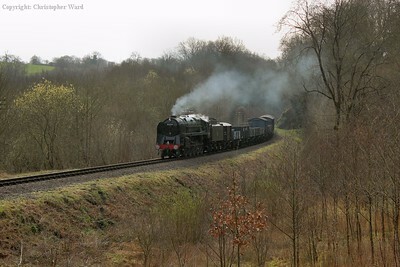 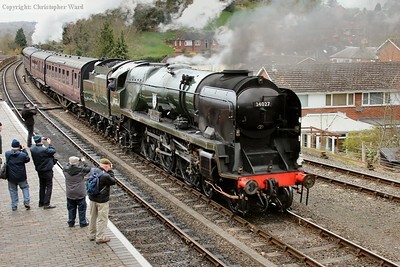 34053 pulls out of Highley with a Kidderminster train. 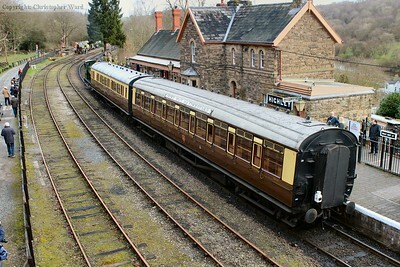 The first carriage is the line's unique experimental Mk.1 from the early 1950s. 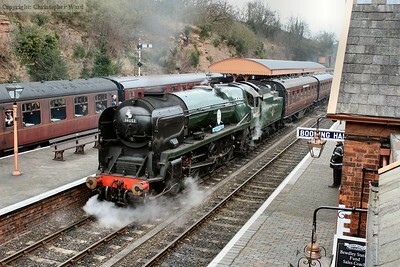 A busy scene at Bewdley. 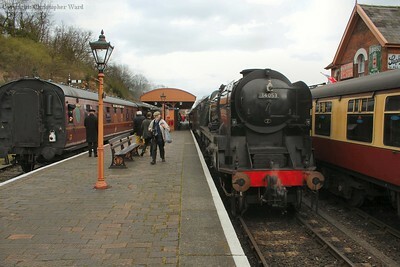 A local to Kidderminster behind Bradley Manor sets off from Platform 3 while Sir Keith Park rests having tailed in the local from Arley. 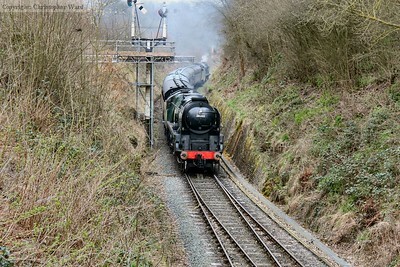 Meanwhile, the Bridgnorth train leaves Platform 1 behind the 9F.